I'm really getting excited about my house y'all. And I cannot wait to show everyone everything! But I'm trying to take one project at a time. Along with that, I have been super busy with real estate! And opening up the new shop if you haven't heard! Whoop! Visit the Facebook page for more information! 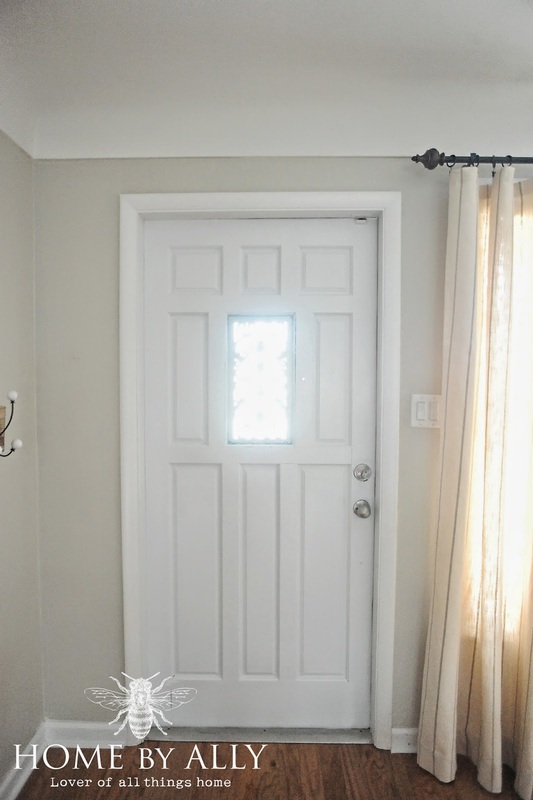 Today, I wanted to show y'all how I updated the INSIDE of my front door in under 15 minutes. Most homes that I have been in, the interior of your front door is likely white. And here lately, trending is painting interior doors charcoal grey or black. And I LOVE that. But I'm one of those people that gets tired of stuff quick. I really don't want to have to paint it twice… so I painted her white. And guess what, the whole entire room feels 10x brighter. 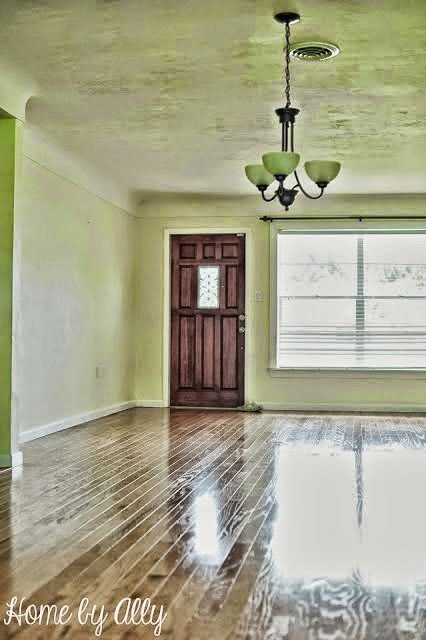 So whether you're like me and just wanted it to be cohesive and lighter… or you're a bit of risk taker, try painting it a fresh color or coordinating! I'm not sure why the photo below looks like the way it does? Here's another from when we first viewed the home while it was on the market. 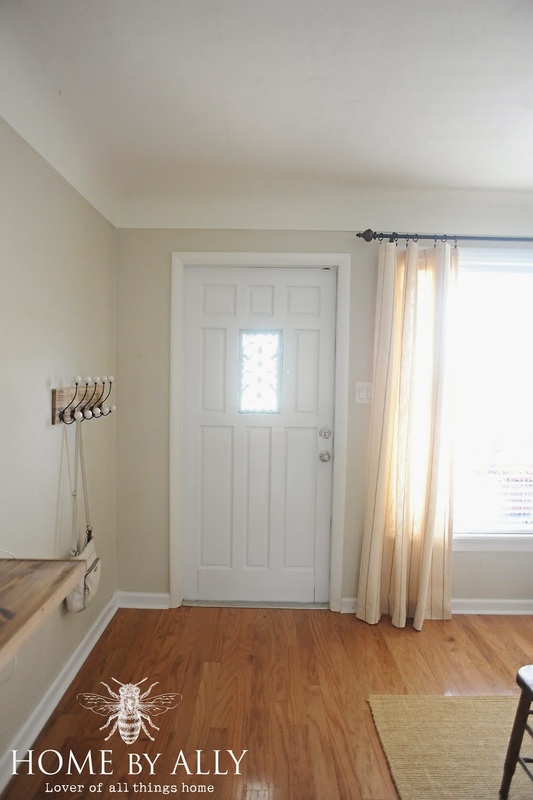 I really loved the wood look and we've had it like that since we purchased this home back in September of last year. But I stare at it all the time because I wanted to paint it white so it would not compete with the other wood tones in our front living space… so whats' a girl to do at 11pm at night? Paint, of course. This photo is super grainy because I took it late in the evening so I had to play with some photography settings and in photoshop for you to really see. These were taken today so they are much better. All of our walls are painted with Valspar's Oatlands Subtle Taupe which is a perfect greige in the Valspar line. If you also notice, we have originally cove ceilings which I absolutely adore… it gives the home so much character! And here's a step back. I have an idea for above the hooks to the left but I haven't finished the project. I also need to find a tiny rug for the front door. 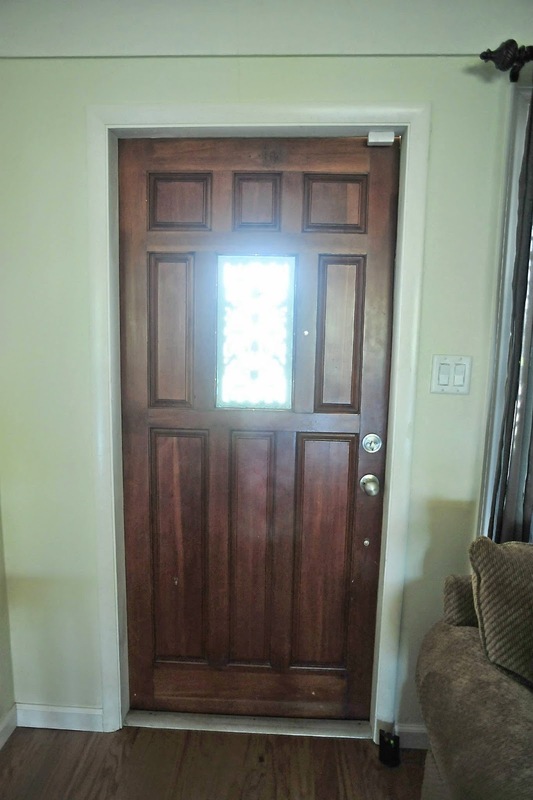 Did I tell you I bought a new front door while I was home in North Carolina? My parents are supposed to bring it to me. I really like this one but I want something that allows more light into our space. We will see how it looks when it gets here. Small updates sometimes make a huge difference. So true about small updates, Holly. 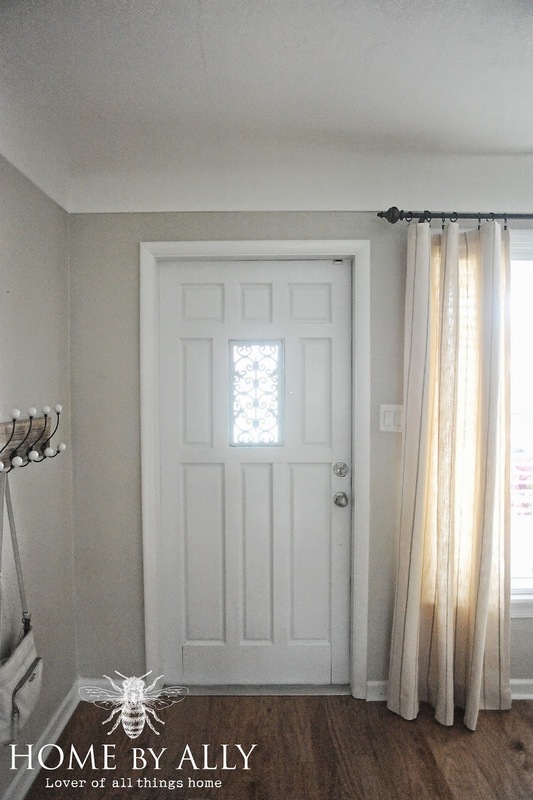 Your door looks great and I love your wall color - so pretty! Such a beautiful home! Thank you so much for sharing the pictures with us. You seem to have a unique talent for getting just the right touches down to an exact science. Keep us updated on any other things you may do to spruce up the house. Keep the pictures coming. Your door looks great, I love it.